This highly concentrated formulation from Lo-Chlor Chemicals is a uniquely formulated phosphate remover which removes up to 2 parts per million with one dose and maintains low levels of phosphates with minimal fuss. Natural composition of unique polymers and rare earth compounds. 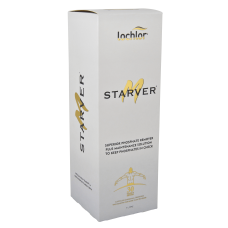 Starver®M is a maintenance solution designed to be used in conjunction with Starver®X which is a high level bulk phosphate remover. For very high levels of phosphates (over 2 parts per million) we recommend first adding 1 Litre of Starver®X per 50,000 Litre pool water. Once the phosphate level is below 2 parts per million you can then begin a maintenance program using Starver®M at the dosage rate stated above. Starver®M will not clog filters and will not increase filter pressure. 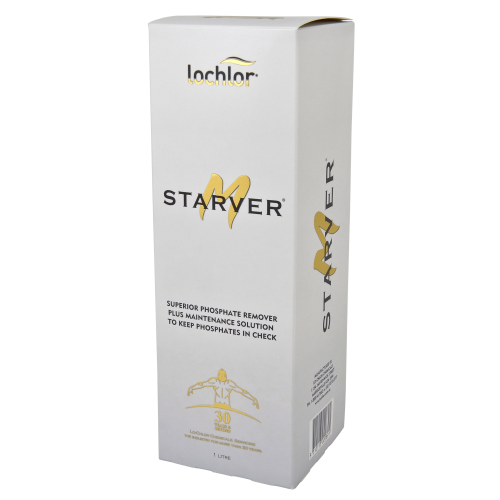 Unlike other phosphate removers on the market that have not been formulated to the same high standard of Starver M, it will NOT cloud the pool water so there is no need to add clarifiers following the use of Starver®M. Ensure you regularly test the pool for phosphates and keep water balance in order. 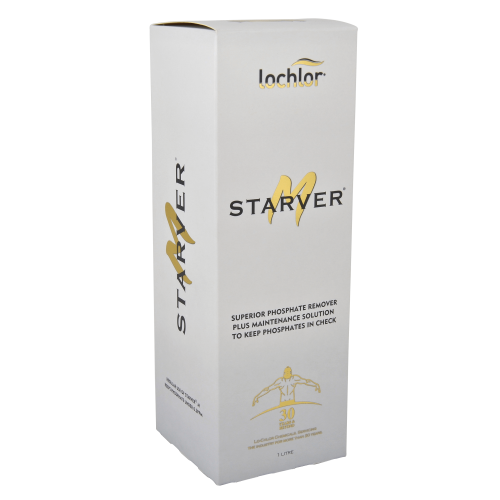 Starver®M is compatible with all registered sanitisers and does not affect probes on automatic liquid feeders or other dosing units. 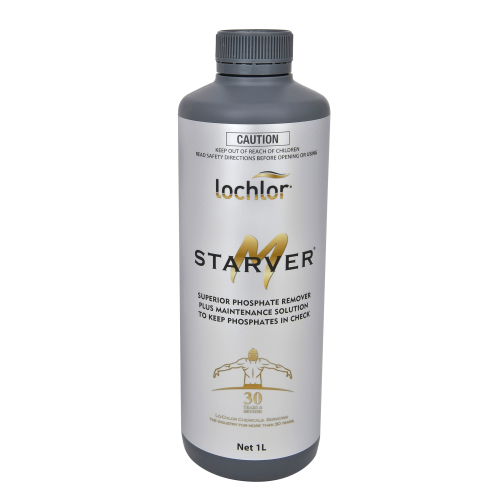 (60SX1L): LO-CHLOR STARVER® ‘X’ 1LITRE The next generation in phosphate removal t..
(60SX20L): LO-CHLOR STARVER® ‘X’ 20LITRE The next generation in phosphate removal..
State of the art phosphate remover for maintaining low levels of phosphate This highly concen..